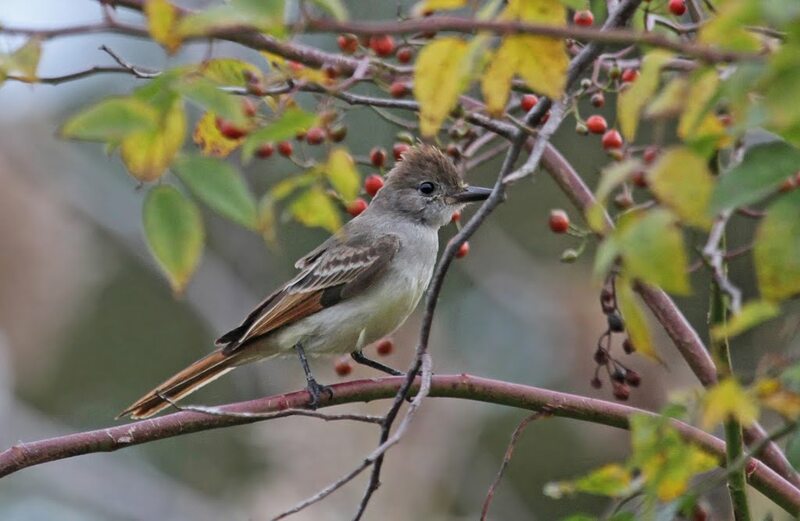 Ash-throated Flycatchers are annual fall vagrants/migrants along the east coast. Massachusetts has over two dozen records, nearly all in the October to December timeframe. The Committee also has several records of multiple birds (!) from the big 2011 irruption. There is the possibility that at least 3 separate Ash-throated Flycatchers spent time on Plum Island during October of 2011. Separating Ash-throated from other Myiarchus (Great Crested, Dusky-capped, Brown-crested, La Sagra’s and Nutting’s Flycatchers) can present a difficult identification challenge.